The Mexican Institute of Industrial Property (IMPI) acquitted Apple on Thursday, in a case against Mexican company iFone. At stake was the legal rights to the phonetic use of the iPhone name. 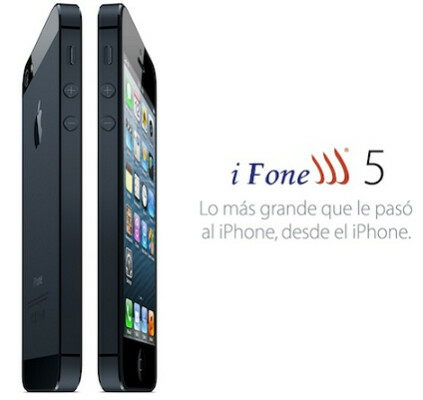 The Mexican agency ruled that only iFone's competition in the carrier business could infringe on the name. Because Apple is not a wireless operator, Apple was acquitted. But it isn't all good news for the tech titan as three carriers will have to stop promoting the iPhone by using its name. That could negatively impact sales of the handset. The IMPI will fine Mexican carriers Telcel, Iusacell and Movistar for using the Apple iPhone moniker. Within 15 days, the three mobile operators will be forced to remove all signs, branding and promotional material that contain the iPhone name. Apple, however, will still be able to sell the iPhone through those carriers and in the country, as long as the carriers follow the ruling. In November 2012, a court in Mexico City ruled that Apple could not use the iPhone name in the country, because it violated iFone's trademarks. The legal fight went to the Mexican Supreme Court. Apple lost that appeal as well. Now, the latest ruling means that Apple can still use the iPhone name, even though three of its carrier partners cannot. The easiest way to workaround the ruling would be for the three carriers bound by the decision, to focus on Apple's iconic apple logo which everyone knows. If Apple feels that this ruling might damage sales in the country, it could decide to pay for the iPhone name in Mexico. There is some precedent for that as Apple did pay Chinese company Proview $60 million for the rights to the iPad name in China. The carriers affected by the ruling can appeal to the Federal Court of Fiscal and Administrative Justice. love this looks like the world is getting annoyed with apple and no longer jumping through hoops for them. if they say something about its hurting there sales and money the mexican courts are going to say so go f your self with all your billions . Say what you want, but it was thought of first. in many countries the i in iphone means internet so this means nothing to the world. Well Apple has a tract record of taking established names and using them, "iPhone" for example was orogionally used ny Cisco. "Used" by Cisco, instead it was trademarked but NEVER used and later a settlement was reached. Cisco was never to actually USE an actual i-phone and if they ever did it would have been a waste of breath, space, and a name, and the smart phone revolution wouldn't be here. Vodafone might take umbrage with that name. 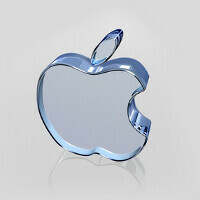 Apple didn't innovate or invent the name for its most profit grossing product? They even paid for the ipad name from the Chinese? The irony of that. Murricans bash the Chinese for cloning Apple products. LOL.